If you order batteries from us, you'll want to read this. Hey, everyone! This is Casey, the new Compliance Manager, and it's time for some light reading from SparkFun about changes to the way we ship lithium batteries! All the newest changes and how they will directly affect you are in the first few paragraphs, with major breakdowns into specifics as the post goes on. Here we go! There is going to be a short period of time starting January 1, 2017, when all stand-alone lithium batteries---metal and ion---will not be able to be sent out via air methods. It's a huge change from how we have been operating for the past couple of years, and huge changes also mean lots of changes in the code for our ERP. What you can expect to see starting January 1, 2017, for a little while, is a restriction on these batteries going in the air. We are still offering Ground services to the contiguous 48 states for these items. Sorry, Alaska and Hawaii; your packages ultimately have to ship in the air, and we can't ship them under DOT Ground regulations. So, if you need to purchase batteries by themselves from us and need them in a hurry, it's best to get your order in soon! Let's start with some of the changes from the International Air Transport Association (IATA) that will go into effect January 1, 2017. The battery safety document is going away for orders with items where the battery is contained in the equipment or packed with the equipment. New battery stickers are coming out. Rules are more clear about how to ship items together that have a battery with the equipment and battery installed in the equipment. For once, a breath of fresh air from IATA! 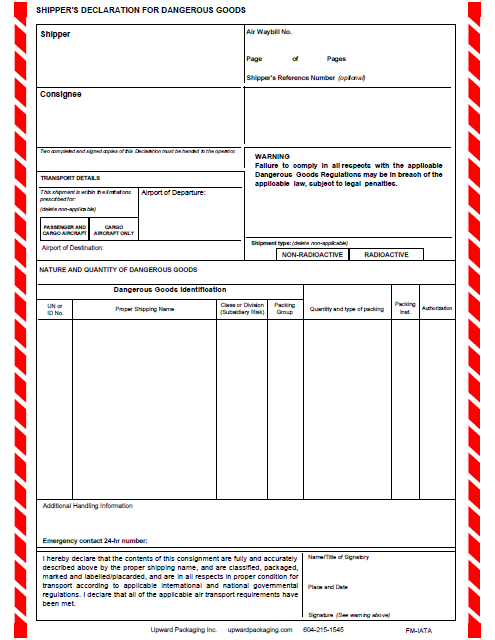 The removal of the battery safety document is a huge help with paper consumption, time our shippers need to pack up orders, and what box size we can use. 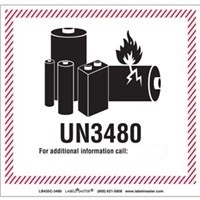 The updates to the battery handling sticker (now called the Lithium Battery Mark) help to cover where this document is going away by having the UN number listed. 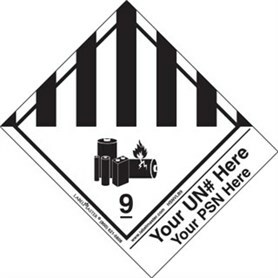 The UN number is a harmonized number that is recognized worldwide and ties to a specific hazardous material. UN3090, for example, is lithium metal by itself. There is a year grace transition period for companies before they have to change over to the new lithium battery mark, where the design is different and the UN number is listed. The updates to IATA rules also help give us a better guideline when shipping items that have a lithium battery packed with equipment (like kits) and a lithium battery contained in equipment (like the DSO Nano) in the same package. As for changes with Department of Transportation (DOT) Ground, we are still waiting for the ruling on HM-215N (special docket number for the Pipeline and Hazardous Materials Safety Administration). According to the proposed rule, the latest we could receive the final ruling is December 31, 2016, for all of the changes that go into effect January 1, 2017. We're moving forward with the assumption that what has been proposed will be the final rule, as it normally doesn't change much once it's finalized. A lot of the changes DOT is trying to get pushed through harmonize with IATA and appear to only have some slight differences in requirements for what documentation they want to see on the package. Here comes the challenging part of all of this. While IATA and DOT haven't made many significant changes to the rules for 2017 (as they did for the April 1, 2016, update), FedEx and UPS have made some major changes to their rules and what they will accept. Starting at the beginning of January, they will no longer be accepting what are considered "Section II" lithium ion and lithium metal batteries by themselves on air shipments. This includes anything domestic, international, and to Alaska and Hawaii. This was the section of the regulations that allowed us to ship with a bit more ease, less paperwork, and no additional fees for processing. Essentially, we will now be required to ship these batteries as "fully regulated" and to include things on the packages like the Class 9 diamond label and the red and white candy-striped Shipper's Declaration. The battery on fire is a nice touch. New declaration we'll have to use to ship lithium batteries by themselves in the air. You may ask, "Can you put the battery in a box with another item and ship it as 'packed with equipment'?" Well, no, we cannot. IATA regulations state, "For the purpose of this packing instruction, 'equipment' means the device or apparatus for which the lithium cells or batteries will provide electrical power for its operation". Us putting a product that isn't related to the battery in a smaller package inside of the box like a kit wouldn't be following the definition as IATA has laid it out. It also has to do with safety. While adding all of these extra labels and information on the package is somewhat of a pain, shipping it under the correct classification helps to keep everyone who handles the battery and the finalized package safe. If you have any questions about the regulations or the UPS/FedEx rule changes, please feel free to email the Compliance Department or leave a comment below. If you would like to read up on previous posts about lithium battery changes, the one about our initial changes and the post for the changes in April 2016 can be a helpful reference. This is one of the biggest reasons why UPS tends to have more strict rules on top of what IATA has. And this is almost an issue because of the big battery box that the Boeing 787 wore. It seems they were using some really funky batteries in it, and their management methods were totally bolluxed. The FAA would only certify the plane for carrying passengers if the issue was fixed. And since 95% of our gear is powered by these things, the Feds and the IATA got snarky about spares and new ones. I would like to order a Lithium Ion Battery - 850mAh, but I'm in France. Is there any retailer in France who sells this model ? Because I can't find one. If I order a lilypad Arduino (say DEV-12049 ROHS) with a Li-Po batter, they can ship because it is the battery AND the device it is actually powering? Just checking because I would like this. Also, what about if it is going to a sea consolidator for overseas shipment NOT by air? Can I have it sent ground form CO to WA (Kent, Washington), where it will go on our container for sea freight to Mongolia? We're not able to ship the battery out that way. When an order is placed, we're not really able to know if the battery you put in your cart is being purchased to go with something else you're buying. Batteries can definitely go via ocean, as long as your consolidator is following the IMDG rules for lithium batteries. The way the order would ship out is we (SparkFun) would pack up your order according to DOT regulations and then it would be the responsibility of your sea consolidator to make sure the package was marked and labeled correctly to ship via sea. Would it be possible to setup pages that are bundles, where the user can choose the battery option as part of a bundle that would ensure you knew it was for the associated equipment. I wanted to set up a bundle of a couple of your products as a kit to enable international shipping, would that be an alternative option? Here's another scenario. What if I placed the order to go to Sumas, Washington? Can it be shipped land only for me to pick up there? If you want to see the gory details, Energizer has provided a helpful summary for those who don't want to buy the docs from the IATA. Make sure you use ICAO and DOT recommended hazard diamond labels that are NOT embellished by the supplier, such as the one shown. The last I have knew, that block for a UN and PSN is not approved and you can be written up for it if someone has it out for you. Casey, Thanks for the update. I wondered when something like that would come along, after I returned a cardiac monitor that had a lithium (cellphone type) battery, shipping via UPS AIR. I asked the UPS store guy about it, and he said that, as of that date, no reg or rule prohibited it. He may have been uninformed then, but I'll bet he gets informed by January. Nooooooo why do I have to live in Alaska! How short is this "short period of time?" like a month, three months, a year? Hmm... on an order that I'd requested "economy" shipping, FedEx or UPS (don't recall now which) first sent it to either Kentucky or Tennessee by air, then trucked it back to AZ (based on their tracking). Had they just trucked it from CO to AZ, I would have had it at least 3 days sooner. Will this affect the number of batteries you can ship simultaneously? It will in the future! Ground shipping methods will remain the same, where we can add all stand-alone batteries into one package. When we are able to offer air shipping methods again we will also be able to add all of our stand-alone batteries into an order. The max per package that we are working with now won't be an issue. Do you know how this will affect travelers? Let's say we want to fly out to Sparkfun with our combat robot for AVC and want to keep TSA from having a field day with our gear. I sense a serious need for cheap LED flashlights powered by standard camera batteries so that outdoor photographers can carry more than three batteries per camera (one in, two out). "Yes sir, I have a pathological fear of power failures and the dark, so I carry 10 flashlights everywhere I go, and yes, I like using four different kinds of expensive batteries to run my flashlights - its a reliability strategy." And thanks, I would appreciate a modest royalty for giving you a new product idea ; ) . I'm surprised we can can take a small robot on as carry on. Thanks for the info. What's All the Fuss About Lithium Batteries? Cyber Monday Is Upon Us! 3D Models of SparkFun Parts!